Earlier this month, the Puerto Rican Cultural Center (PRCC) bought four buildings on Division Street in a move to expand the Paseo Boricua cultural and economic corridor. The properties will be converted into the “Paseo Boricua Arts Center”, which will include live and work studios for artists, a retail space, theater, and other entertainment features. La Voz del Paseo Boricua: What importance do you attach to the acquisition of the four properties which are housed around Ashland Sausage? Alderman Maldonado: Revamp what was traditionally and historically known as the Puerto Rican economic enclave on Division Street. It will serve as an anchor to attract Puerto Rican and Latinos to this area. It will be a great asset for the mixed economic development of this community and more importantly, the Latin American performing arts theater will attract people from all walks of life. The wine bar will also be an awesome component to the development. 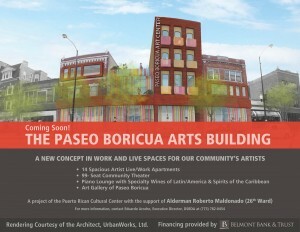 La Voz del Paseo Boricua: The project calls for a building where there will be fourteen live and work artist spaces, a retail art gallery, a ninety-nine seat theater, and a space for the development of wines from Latin America; a piano lounge, etc. How does all this fit into your vision for the community? Alderman Maldonado: This will compliment the massive economic development on California Avenue between Division Street and Chicago Avenue. I have three major interests, dreams, and aspirations for this community. First it is public security – everyone wants to feel safe. We have made major strides with working with all the police commanders that touch every ward, holding commanders directly accountable for the safety of the residents. Its been a welcoming relationship. Second is education. The 26th Ward only has two Level One schools. In 2012 there were five Level One schools because of CPS [Chicago Public Schools] restructuring. There are now four schools on-track to be Level One. The third is economic development, which includes housing and business development. The housing market is booming. We have tried to have our community be as diverse as its been. We want to make sure new residents and other residents who left, see the beauty of Humboldt Park and give it a second look. 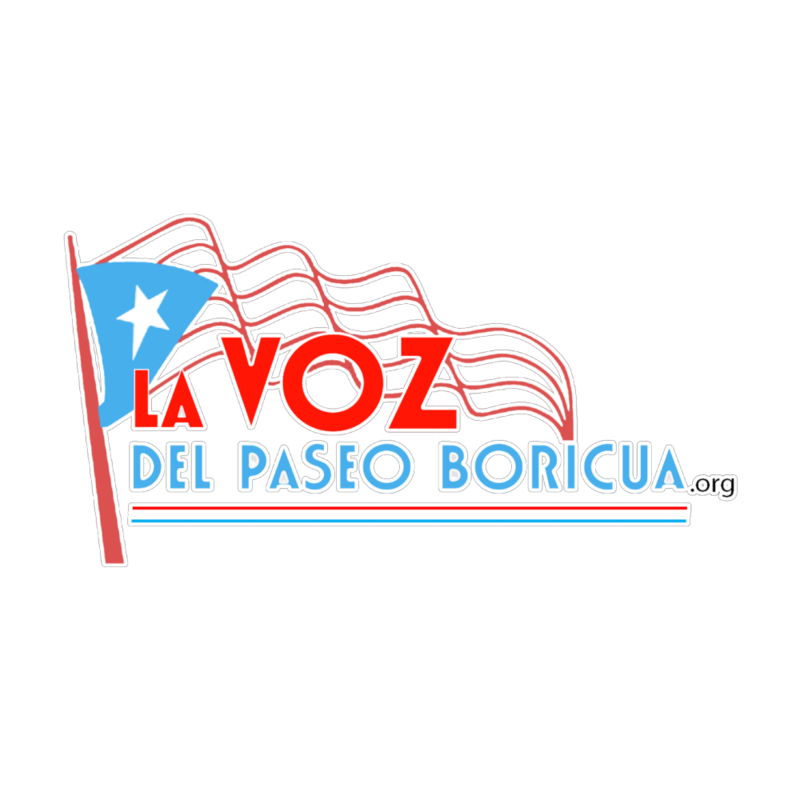 La Voz del Paseo Boricua: You have been a major supporter of this initiative. What is the importance of Belmont Bank in terms of financing this acquisition? Alderman Maldonado: Belmont Bank has an interest in contributing into our area. In terms of economic development, they’re a common sense community bank that has shown interest in this community and are partners in this initiative. Making this project a reality will make more business opportunities. La Voz del Paseo Boricua: What would you say to constituents who are worried or weary of an artist housing space because of the historic connection between these initiatives and gentrification? Alderman Maldonado: How could we deny that gentrification is taking place? How could we, as Latinos, incorporate ourselves to this community and in new economic models of development? We have a great opportunity to encourage our middle-class residents to invest and buy to be a part of this community as well as embrace residents in subsidized housing to make the community more solid and stable. 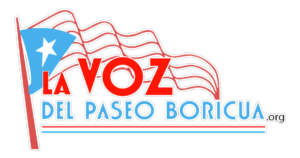 La Voz del Paseo Boricua: How will the community be engaged in all its phases of development? Alderman Maldonado: I presume that the majority of the future tenets are artists from the community, but its obviously open to all artists. We build the opportunity so everyone can take advantage of it. Next articleHaunted Paseo Boricua! Enthusiastic crowd of community organizers, volunteers and business owners shared treats, games!